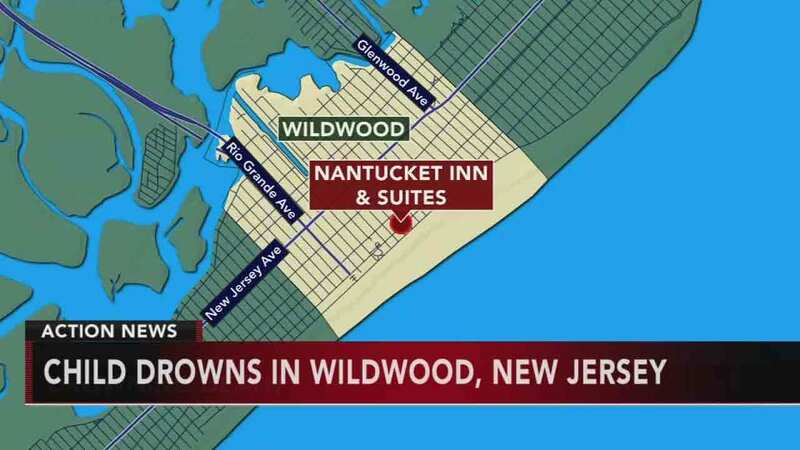 WILDWOOD, N.J. -- A 6-year-old girl drowned at a hotel pool in Wildwood, New Jersey. It happened at the Nantucket Inn and Suites on Ocean Avenue. Officials said the little girl was vacationing with several family members from Philadelphia when she wandered to the deep end of the pool. She was underwater for several minutes. The girl was rushed to Cape Regional Medical Center where she was pronounced dead Saturday evening.